When preparing for the LSAT, students inevitably run into the Logic Games section (also known as Analytical Reasoning), and for many, this is the toughest section on the test. If Logic Games are generally difficult, why then would we choose to write about the hardest LSAT games ever to appear? The short answer is that there are tremendous benefits to be gained by reviewing these games, and subsequently understanding how to recognize them and deal with them. Grouping: Defined-Fixed, Unbalanced: Overloaded. This is one of the most challenging games in recent years. Five dinosaurs are selected form a group of seven different dinosaurs, and then to add to the fun, the dinosaurs also have different colors, such as mauve and yellow. One striking thing about the list is the lack of particularly hard games since the year 2000. Only three of the eleven games are from the past ten years, which supports the contention that the Logic Games section on recent tests has been generally easier than in the past. While that trend may not continue, in retrospect one can see that the recent era has been relatively kind to those who tend to have difficulty with Logic Games. When you prepare for the Logic Games section of the LSAT, you should be aware of the game types that appear most frequently on the exam. If you've taken any test from the last couple of years, you may have stumbled upon strangely-worded or confusing rules. 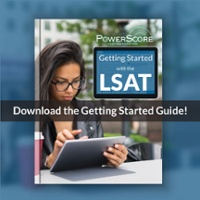 Profile Charting is a specific variation on the grouping games covered in Chapter Four of the PowerScore LSAT Logic Games Bible.